Angie Petty is a well-known figure on the New Zealand Athletics 800m scene. Competing since the age of 5, Angie holds an impressive number of titles & records. Not only does she train hard (most days, she does double training) but she balances her sessions with travel, work & socialising! She’s just wrapped up an impressive stint in the 2018 Commonwealth Games! What sport are you involved in? Do you hold any titles, records and/or big wins? 2015 World University Games Champion, 7x National 800m Champion, 4x National 1500m Champion, New Zealand 1000m record holder, 2nd ever best 800m female time. How long have you been involved in your sport? Did it at school from 5, for a club since I was 10 years old and got a coach when I was 13. Watching the Olympics on TV, doing well in races at school, being competitive. What does a day in the life of Angie look like? Injuries and sickness- 4 hamstring tears and a calf tear (thankfully only grade 1 except 1 hammy that was grade 2) other injuries and glandular fever. Disappointing races especially international races such as World Champs where I missed out on the semi final by 0.03 of a second. Also disappointment with loss of sponsorship/funding which has made it hard to continue competing but am very grateful for the support I do receive. Yes it can be challenging due to the amount of hours and hard work involved with the training. For example many of the international girls I compete against are full time athletes. 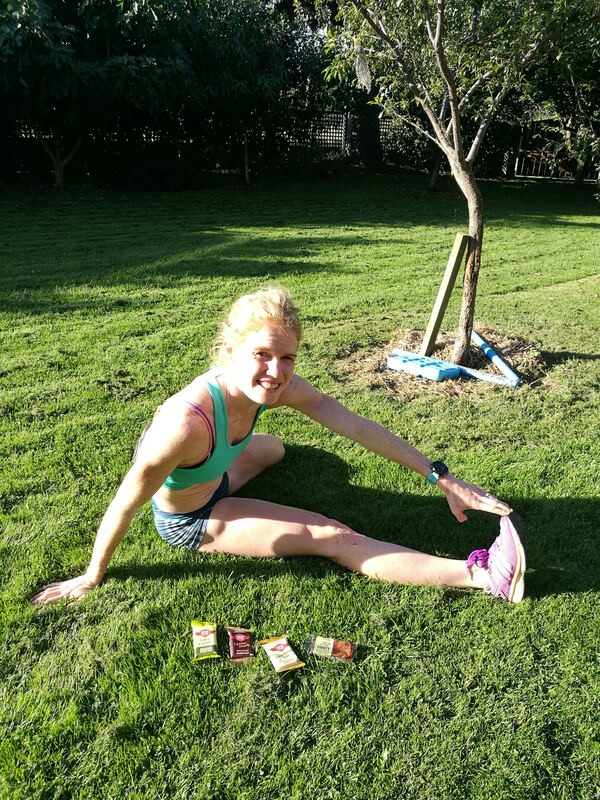 Double training most days takes a lot out of you- especially the hard interval days and ultimate recovery would be to not have too much on between the training sessions. However my husband and I need to earn to pay the bills and the costs of travelling around the country and the world to train and compete. So my husband (he is an athlete too) works full time permanent, and I work part time on a casual basis due to the big hours with my sport and being overseas for long periods of time racing and training. I am very grateful for any funding I receive to help with these costs. I graduated at the end of last year so balancing running, study and work was busy but I did enjoy it all. And I love where I work- The Rainbow Preschool where I have relieved for the past 8 years. By focusing on my next races, especially the international events and by always wanting to better myself- having goals. I love training especially with my husband and dog Tux and my other running friends. And am very grateful to have competed for New Zealand all around the world. It’s a lot of hard work, with lots of challenges and disappointments but also a lot of blessings along the way. By eating healthy and good quantities. I totally believe that you need to give your body lots of fuel and of course try and eat mostly healthy, however do believe in having treats. 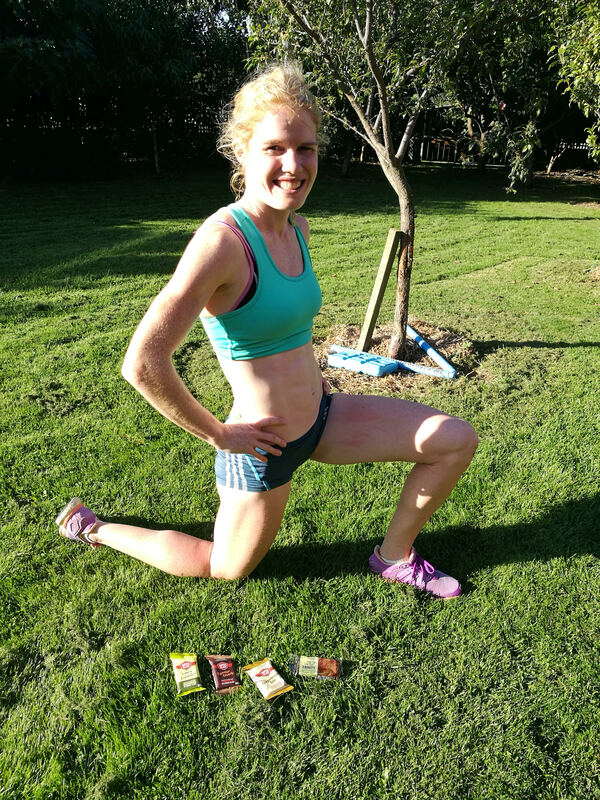 I love my Tom & Luke snacks for snacks between meals every day and for recovery after training as well as an energy hit before training. My absolute favourites are the Caramel balls, the Brownie slice and the protein bar- perfect for after a session. I eat my last main meal about 3 hours before a race with a banana about 90mins before and something light and sugary (honey, jellie beans or sports drink) even closer to the race. Make sure you are following dreams of something you enjoy! Don’t get so caught up on results that you get so stressed before competing and training and don’t enjoy it. Surround yourself with positive people, a good coach and supportive family and friends. Work hard, but have time to recover and relax also. Set small stepping stone goals as well as the longer term goals and keeping a training journal is pretty handy as well (great to look back on).